There is a point where the cost of auto insurance explodes and becomes un affordable for many drivers on the road. It is estimated that some uninsured drivers in some states are as high as 25%. This is due to the economic challenges we face as well as the high rise in insurance cost for many individuals. How can the expense for insurance become so high? What are steps the consumer can do to help manage the high cost of auto insurance? Our cost of insurance is a continuous expense we all need to manage. The challenging part is when we see expense rise as our income level stays the same. 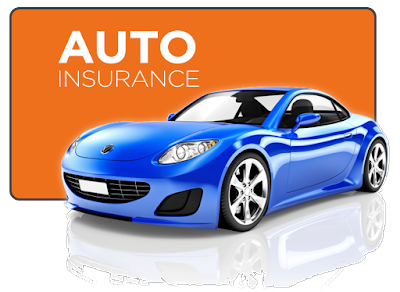 Auto insurers will quickly increase their pricing for certain type of items. Examples can be an increase in moving violations, a major violation such as driving under the influence or the inability to maintain our auto insurance coverage. As these areas are factored car owners projected risk increases, sometimes the increase is substantial and gets quickly reflected in your auto insurance prices. In addition to events causing prices to go up, there are car owners who will start off with the high cost even if their driving record is in perfect condition. One example is young drivers who don’t have much experience behind the wheel. Since these drivers are viewed as more likely to get in an accident the pricing a new driver will start off at very high levels. Other instances of high pricing can be from someone without a college degree or who is not married. It doesn’t seem fair that these factors can increase the cost of auto insurance. Unfortunately, the pricing of insurance is based on statistics, and how likely an individual is to file a claim. Whether a person is married or has a certain educational background will influence their chances of filing the claim and costing an insurer more money. How you can you manage the explosive cost of insurance? A good starting point is to keep up a clean driving record. Other good tips to lower cost can found in our lowest cost of insurance and high-risk auto insurance review. It is also important to make sure you keep up your insurance coverage at all times. For those uninsured, they should expect to see a higher cost when they choose to look for insurance coverage. When looking at auto insurance coverage, it is also wise to review uninsured motorist coverage to make sure you have the protection against drivers not carrying coverage.